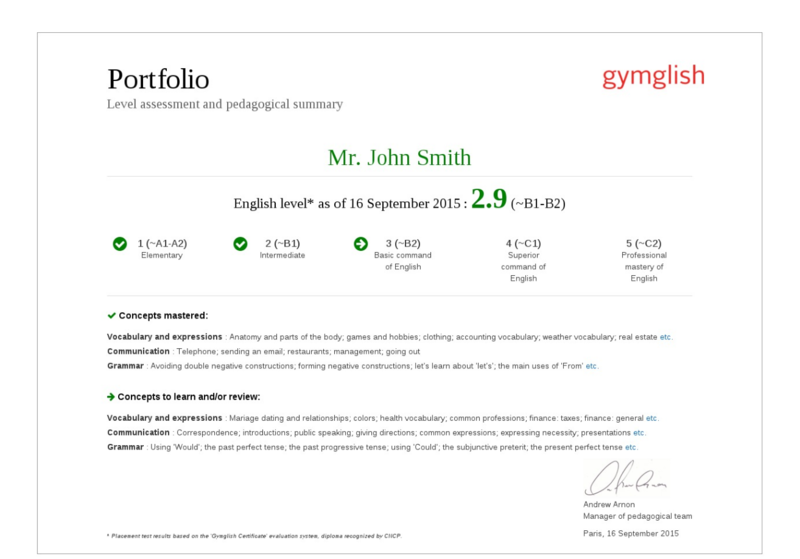 Gymglish online help - FAQ (Frequently-Asked Questions) - When will I receive my Portfolio (initial level assessment)? All Categories ​>​ Education and Level ​>​ When will I receive my Portfolio (initial level assessment)? After your first group of lessons, you’ll receive personalized Portfolio containing a level assessment and an outline of your current strengths and weaknesses. Your level is determined in line with the Common European Framework of Reference for Languages (CEFRL). As you continue your lessons, we’ll keep your level assessment up-to-date in real time. You’ll be able to see how you’ve improved over time in key areas such as grammar, reading and listening comprehension. The assessment is done gradually over the course of your first lessons. Please note that the portfolio is created only once. We will not update it, but your certificate of completion will show your progress. Your Gymglish portfolio is delivered after you've completed 10 lessons. 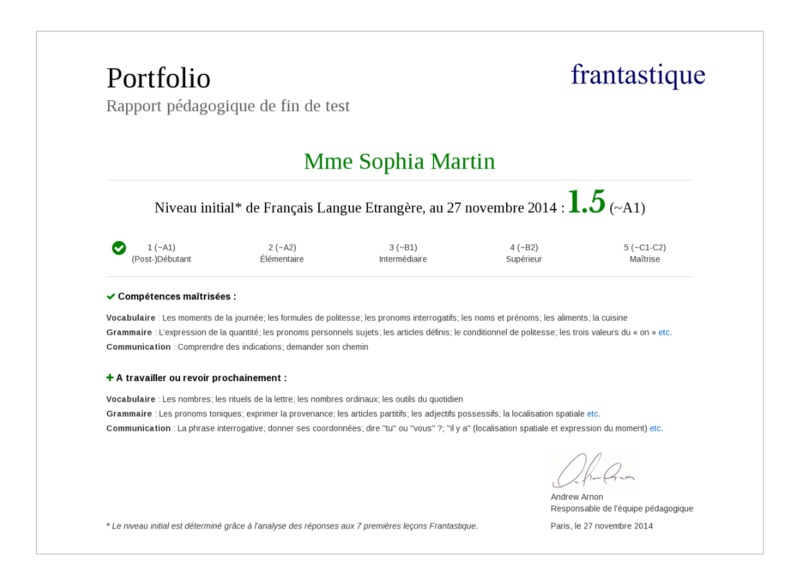 Your Frantastique "FLE" portfolio is delivered after you've completed 7 lessons.